“He wouldn’t have to worry about sending a hookup a picture of his junk! And girls would be way more likely to send him racy photos if they disappeared.” That’s just a taste of juicy details found in “How to Turn Down a Billion Dollars: The Snapchat Story,” a new book coming out tomorrow from former TechCrunch reporter Billy Gallagher. It illuminates how co-founder Reggie Brown actually came up with the idea of ephemeral messaging, how CEO Evan Spiegel kicked him out of the company and how Snapchat went from LA high school toy to IPO. You can read the most interesting chapter about Reggie’s marijuana-fueled eureka moment with the quotes above in an excerpt from the book published on TechCrunch this weekend: How Reggie Brown invented Snapchat. Unlike most books about tech companies written by far-removed authors, Gallagher chronicles Snapchat’s rise first-hand thanks to an unlikely coincidence. He was in the same Stanford fraternity as the startup’s co-founders. [Disclosure: so was I]. The sources this afforded Gallagher make The Snapchat Story a tale full of unflattering anecdotes and interpersonal drama that mirrors the way teens use the off-the-cuff app. Though not always polished or paced to perfection, the book makes you feel like you’re right there in the dorm room with Evan and Reggie. Reggie came up with the idea for Snapchat’s disappearing messages to coax girls into sexting him while preventing evidence of his own affairs from permanently haunting him. He then recruited Evan to turn it into a real app, and they were supposed to split the company 50/50. Evan kicked Reggie out of the company after a drunken argument about Reggie’s contributions, and later a raging phone call where Evan was furious that he was listed as the last inventor out of the three co-founders in the Snapchat patent application Reggie filed. Snapchat blew up in Evan’s cousin’s LA high school after his mom told her about it. Her school-issued iPad banned Facebook so she and her friends downloaded Snapchat as a way to pass notes, and it took off from there. 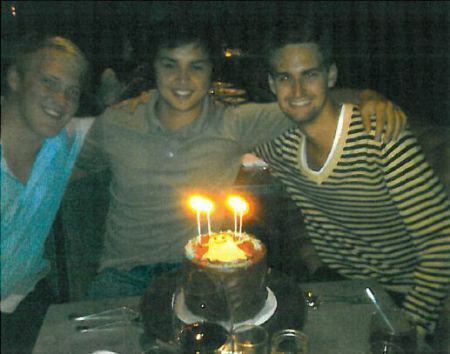 Mark Zuckerberg first offered $60 million to buy Snapchat in 2012, but when Evan declined, Zuckerberg threatened Snapchat by showing him Facebook had already built a clone called Poke. Evan still refused, and Facebook launched Poke weeks later. Evan seriously considered accepting Facebook’s $3 billion acquisition offer, at times favoring the 2013 deal in discussions with co-founder Bobby Murphy, but ultimately decided he couldn’t live out his days as a Facebook employee answering to someone else. Beyond the big revelations, How to Turn Down a Billion Dollars gives deep insights into Spiegel’s secretive behavior. Reporting from inside Snapchat’s annual New Year’s Eve parties, Gallagher recounts how the company went from requesting “no photos” to confiscating people’s phones. But Gallagher acts as our lens, confirming how Taylor Swift was Spiegel’s date one year, and the two lorded over the bash from an elevated catwalk. The Snapchat Story only stumbles when Gallagher gets too deep into the weeds. He tries to give readers a crash-course in venture capital with failed startup Clinkle as an example in a long tangent. Later the author gets lost in stats about sexting, and the intricacies of Snapchat’s Discover deals with publishers. As Spiegel gets more private, Gallagher’s sourcing wanes, relying instead on leaked emails that feel cold and clinical. 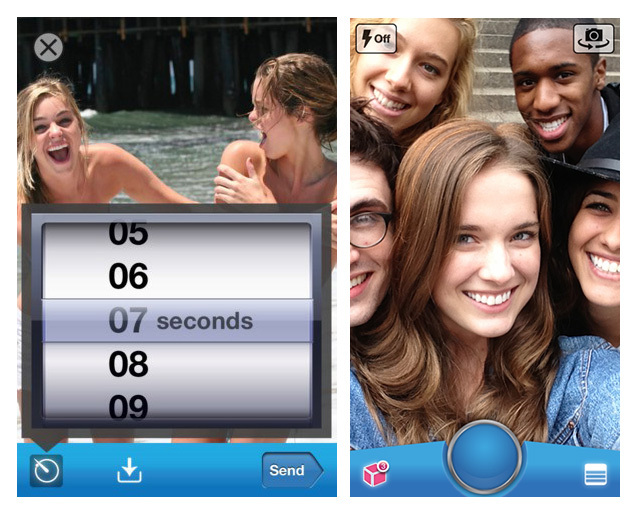 But with his direct understanding of Snapchat as both one of its first users and now its biographer, Gallagher distills wisdom about the app’s true purpose. For teens, trends change fast, and Snapchat’s ephemeral nature means your personal brand is always a reflection of the now rather than the visual artifacts from when you aligned with a fad since passed. Snapchat’s ideas have influenced society and social media in ways much bigger than its fledgling business. Readers trying to invent, invest in or exploit the next great shift in consumer technology behavior would do well to read Gallagher’s dive into how the last one materialized. Below you can find a short Q&A with Gallagher. If you want to hear more straight from the author, I’ll be interviewing him and taking audience questions at the book launch and signing for How to Turn Down a Billion Dollars, today, February 12th from 7pm to 9pm at San Francisco’s Books Inc. on Chestnut Street. TechCrunch’s Josh Constine: What should readers come away from your book thinking about Snapchat? The Snapchat Story author Billy Gallagher: I think they’ll come away with an appreciation of how early Evan started thinking about Snapchat as much more than just a photo-sharing app and certainly a sexting app. Also, an appreciation for how much he did have this pretty brilliant insight on what was a simple, straightforward idea. If you think about this idea of impermanence not as a toy and not as a method for sexting, but as a way of changing user behavior, I think it’s really fascinating. I think also an understanding of who Evan is, why he and Snapchat are so closely linked and why that’s going to be the case for the foreseeable future. Constine: What do you think are the most important scoops or bits of color to come out of this book? Gallagher: I think there’s a lot of fun stuff on the early days, surely color-wise. I think there’s a lot on Evan and Bobby and Reggie and the early days and the work on Future Freshman and when they’re in school that hasn’t been covered much before. I think Snapchat has been covered primarily by the tech press and in short pieces that are on the here and now or a funding round or around the IPO. But when you look at the longer narrative, you connect the dots of the things that Evan has said. To give you an example, when he was onstage at TechCrunch Disrupt, he talked about Google Glass, and how Snap wasn’t going to build a Google Glass app because it felt invasive, like a gun pointed at you. And then a few years later they’re releasing Spectacles. Constine: When people read that origin story and hear how Reggie really came up with this idea, and it was more that he just brought it to Evan and Evan kind of ran with it, how do you think it will change the readers’ perception of Evan? Gallagher: I think it makes it clear Reggie really, really did have a role in this. You can argue about whether or not it’s ideas or execution that matter. But I think it’s not fair necessarily to say that all Reggie had was an idea, because he took it to the smartest guy, the best operator, the best executor he knew — Evan — and that was a brilliant move. You know a lot of what venture capitalists tout as their value is bringing in the CEO or the key hire or this big partnership. So really what Reggie did was get the entire thing moving. A lot of people say the company wouldn’t be what it is today if he was still there, and he got $158 million, so I don’t think we can really feel too sorry for him. But on the other hand, Evan and Bobby are on the TIME 100 and they’re billionaires and they have all this influence on the world. I think the reader will have some empathy for Reggie and have some empathy that he isn’t around at the company anymore. It makes you look at Evan as cold. At the same time, if Reggie had stayed I think there’s the potential that the company would have died. It’s a really tough, tough situation that they definitely should have handled better. Constine: How was it working with Snapchat on this? Did they push back much? Did they try to dispute facts? Gallagher: They were actually pretty helpful as far as I could have expected them to be. They’re very secretive. Access to Evan and other executives is very heavily guarded, and so I knew at one point during the reporting when they told everyone not to talk to me. You could tell sometimes when I talked to sources and then they’d say ‘oh actually they told me not to say anything.’ So access was an issue, but I knew that going in. Mary Ritti [Snap’s VP of communications] was really helpful with fact checking, so yeah, they were pretty helpful at least beyond official access. Constine: What’s the biggest question that you couldn’t answer in this book? Maybe something you were digging for but never found. Gallagher: I mean part of it is having wished I had some of the dialogue that can only be gotten if you have official access to Evan and Bobby — their private deliberations when they were considering these offers from Zuckerberg. But I think we were still able to get at a lot of how they’re motivated and why they did the things they did. The biggest one that I come back to is why, once they realized they needed to terminate Reggie, why they went about it like breaking up with your ex instead of as professional, as Evan has been in business. He makes two huge errors in a span of a few months when he forces Reggie out and changes all the passwords instead of going through it the right way by terminating him and coming to some sort of settlement that surely would not cost as much money. And then with Jeremy Liew at Lightspeed when he accepts those terms that he later ranted and raved against, and it cost him a lot of money. So it ends up being $157 million for Reggie, and the terms in the deal they don’t want with Jeremy. Constine: What’s your prediction for how Snap is going to fair in the future? Gallagher: Well, they just did well on their earnings, which was a good win for the company. It was big for morale. I’m pretty bullish on them, long-term, because I think they have a pretty defined downside as a really popular messaging app being used by 180 million people every day. They can build out the ad business. They’re doing some good things with these deals with wireless carriers that will help Android growth, so I think they have some good things going. I think what’s going to be most interesting to watch this next year is what is Snapchat’s next chapter. Because for a while they were riding the brilliance of Stories and that was propelling a lot of things. But now Instagram has done a great job catching up to that and copying that, exceeding them there. And some other products they’ve had like Snap Maps are cool, but that isn’t a product at all on the same level as Stories in terms of importance and usefulness. So I think they need to figure out what is the next chapter here, product-wise. “How to Turn Down a Billion Dollars: The Snapchat Story” is now available for pre-sale before coming out tomorrow.